Is Alex O’Loughlin leaving Hawaii Five-0 or not? Recently, the star of the CBS TV show spoke with TVLine about his plans for a possible season nine. Currently in its eighth season, the action series reboot revolves around Detective Steve McGarrett (O’Loughlin) and his elite state police task force in the state of Hawaii. The cast also includes Scott Caan, Ian Anthony Dale, Meaghan Rath, Beulah Koale, Jorge Garcia, Chi McBride, Taylor Wily, Dennis Chun, and Kimee Balmilero. To be honest with you, mate, if you had asked me [about re-signing] two years ago, my answer would have been, like, ‘No f’–king way.’ I want a quality of life, and I want to be with my family. I’ve been able to put Humpty together again. CBS has not yet announced a season nine renewal for Hawaii Five-0, but it seems likely given the series’ solid ratings. What do you think? Do you watch Hawaii Five-0? Do you want another season? More about: CBS TV shows: canceled or renewed?, Hawaii Five-0 (2010), Hawaii Five-0 (2010): canceled or renewed? Hawaii Five-0: Cancelled or Renewed for Season Nine on CBS? Hawaii Five-0: Is Season Seven the End for the CBS Series? Hawaii Five-0: Will Alex O’Loughlin Star in the CBS Remake? I love Hawaii five-0. I canceled Netflix because it no longer showed the series and now I am able to watch all the seasons on prime video. Please bring my favorite show back. I absolutely would want the show to continue. I love this show, one of my favorite remakes, I enjoy watching Hawaii 5 O & pray it returns for another season, please bring back Steve, Danno & The whole gang back!!!! One of my favorite shows!! Love it. I really miss Kono and Chin Ho Kelly though. The two new people are just okay. But Kono and Chin ho Kelly were awesome. Please bring them back!! Miss my little coroner too. 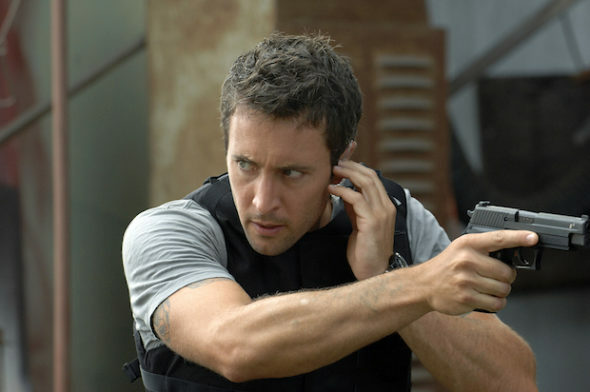 And of course no one can replace my hero McGarrett!!! Please continue the show. The network should make a deal worthwhile of keeping the leaders interested in staying. I haven’t been watching Hawaii 5-0 on television. I have been buying the series on blu-ray from Germany. I’ve just got Season 7 a few months ago. I’ve been watching Season 8 on Netflix, and I plan to buy the blu-ray from Germany when it becomes released early next year. I don’t know why Hawaii 5-0 is only being sold on DVD here in America. That’s one reason why CBS isn’t making as much money with this show as they could. I mean, who buys DVD’s anymore? I adore Hawaii 5-0❤️ I have watched every single episode at least twice!!! It’s simply incredible and it cannot be done without Alex!